We are offering BMC/ CMC /Clay /Sealant / Viscosity Paste Kneading Machine to our client. Material: stainless steel 304/316l, and choose the best accessories suppliers. Condition: Brand-new, 100% manufactured from Lianchuang factory. Easy to handle/operating with the PLC system, and easy to clean/maintenance. Discharge way: Tank-tilting,pump-extruding, bottom manual/hydraulic open/ball-valve. Speed control: the inverter to control the paddle rotating speed as the request. We proudly announce ourselves as the leading name devotedly engaged in providing Sugar Paste Mixer. This mixer is mounted on a sturdy base frame fabricated out of ISMC sections and is free from vibrations. Offered mixer has a double 'U' shaped container welded together inside which rotates 2 (two) 'Z' type sigma blades in opposite directions of each other sigma mixer blade. 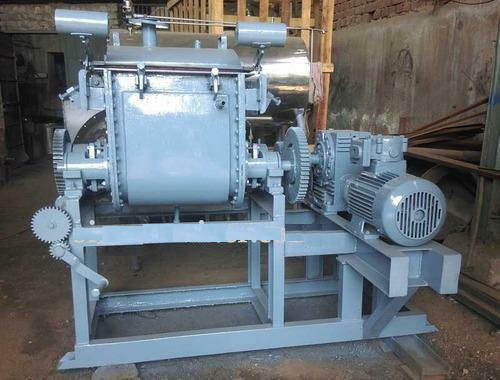 Customers can avail this mixer on various specifications so as to meet their requirements. 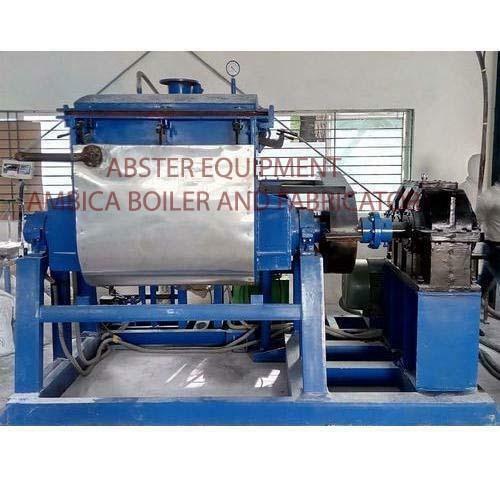 Abster Equipment is an eminent manufacturer of superior-quality Toilet Soap Sigma Mixer. They are manufactured at our spacious infrastructure facility using premium-grade raw materials in compliance with industrial quality standards. Advanced machines are used in the manufacturing process to ensure high product quality. They are highly acclaimed for their sturdy design and damage-resistant exterior. They are quality-tested by professional auditors before dispatch to ensure optimum end-user satisfaction. They are well-known for their corrosion-resistance and abrasion-resistance. 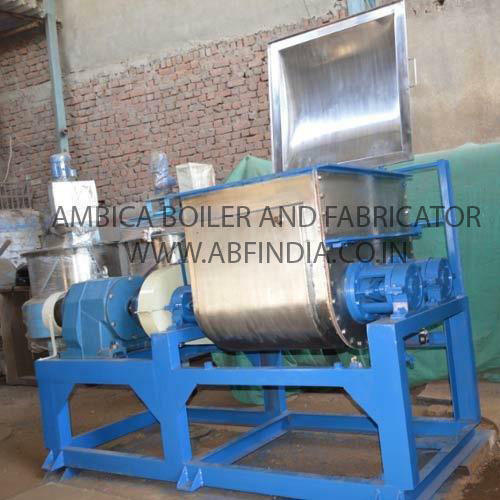 They have a flawless finish and are used widely in the soap industry for various mixing operations. They are affordably priced. 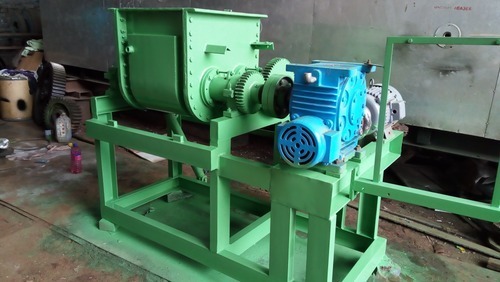 The Mixing Assembly consists of series of paddle type blades of appropriate shape to move the material back towards the center of the container. The paddle type blades are provided on the central shaft which runs through a hollow shaft on which other sets of blades are welded. Both the sets of blades intermeshed with each other and rotates in a clockwise and anti-clockwise direction respectively and one set also scraps the container wall for thorough and uniform mixing of the material. All Contact Parts Made Out of SS 316 / SS 316 L Quality Material Conforming to GMP norms. 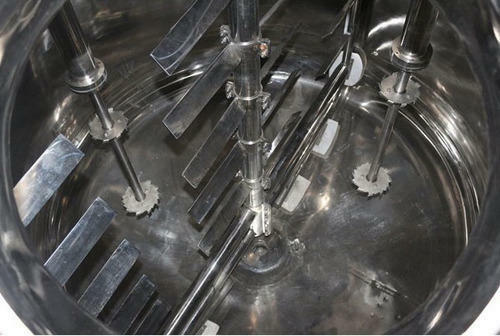 Complete Lid lifting arrangement to facilitate cleaning and product changeover, interlocked with safety device so that anchor stirrer starts on Lilly when lid closed. Intensive mixing by special semi - contra design anchor stirrer avoiding dead zones. Contra Rotary Stirrer for Tooth Paste. Variable Speed drive provided for main anchor stirrer assembly for different speeds.